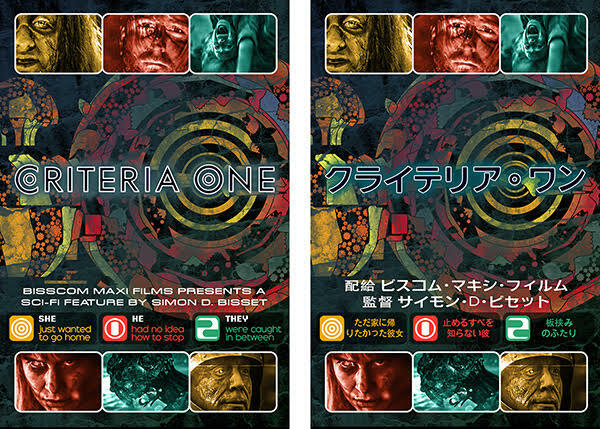 After a short VOD release, writer/director Simon D Bisset is giving away his debut sci-fi feature film CRITERIA ONE on YouTube and Vimeo. "CRITERIA ONE was really only ever about showcasing my skills to as wide an audience as possible. Having gone through the festival, DVD and VOD cycle this now feels right." Made pretty much single-handedly over 6 years for £20,000, to complete the film Simon squeezed in over 1,000 hours of work around his day job as a commercials and corporate director at Focal Point Television. When superstar DJ Tim Chardie takes ex-girlfriend Sue on a camping trip, neither expect to become pawns in a terrifying game – pursued, stalked and catalogued by a mysterious ancient visitor, ‘The Collector’. This strange creature has grown over many millennia into split male/female personalities, both sides fighting for control – HE has no idea how to stop, SHE just wants to go home. Sue is captured, a game of control begins – can Chardie work with some part of this being to rescue her? Using a distinctive palette of photography and sound, this unusual film presents a unique vision. Criteria One is about the often-conflicting emotions connecting us to one another. Emotions that may echo far beyond our home planet, into the stars beyond. "The incredible feedback I've had so far from the limited audience who've seen CRITERIA ONE was a big part in my decision to give the film away. After such a lengthy process, I took more of a short-film mentality – it's more about finding an audience than making any money back, that wasn't really the purpose." 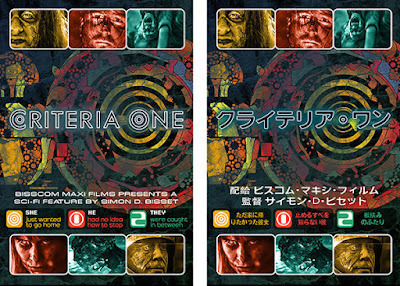 The film has also been re-made in Japanese, with unique graphics and animations. So here it is the full feature length movie that Simon Bisset is letting everyone see for FREE.